The members of Senior Cabinet include the President and Vice Presidents of Goodwin College. 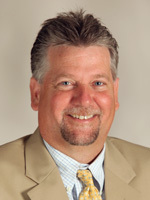 Mark Scheinberg is the founding president of Goodwin College in East Hartford, Connecticut. In this role, he has provided the leadership and financial support to convert a private career school into a nonprofit, four-year collegiate institution. Goodwin College, located in East Hartford on a scenic campus on the Connecticut River, is dedicated to what Mr. Scheinberg calls “the undiscovered student” – working adults, first generation college students, and learners who come from diverse backgrounds. A school that focuses on programs that lead to emerging careers, Goodwin College has built some of Connecticut’s largest programs in registered nursing, respiratory therapy, histology, and paramedic training. The College offers several degree programs at the associate and baccalaureate level including Nursing, Child Study, Environmental Studies, Health Sciences, and more. Goodwin’s innovative programs and services include a Summer Bridge program, concierge services for students, and flexible scheduling including blended and online coursework. The College does its best to accommodate its busy students through services such as a food pantry and diaper bank for those in need, counseling and advising, and academic support. In recent years, the College has extended its mission by developing a magnet high school on its campus devoted to environmental science – the Connecticut River Academy. A second magnet school, The Goodwin College Early Childhood Magnet School, opened in September 2013, providing prekindergarten and kindergarten instruction to children in the Greater Hartford region, free of charge to the families served. This institution also serves as a laboratory school for the college’s Early Child Program. During the 2013-14 academic year, Goodwin will also complete the new home for the Pathways Academy for Technology and Design, a magnet high school operated by the Hartford Board of Education. Mr. Scheinberg has committed himself to serving the broader community. He has served on the board of the Hartford Consortium for Higher Education, since 2005 and served as its’ chair from 2010 to 2011. 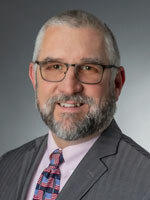 He is also a member of the Executive Board of the Connecticut Council of Independent Colleges and Connecticut Campus Compact. He has also served as president of the East Hartford Chamber of Commerce and on the International Board of the Young Presidents Organization. This organization recognized him in 2009 with the International Legacy Honor Award. Mr. Scheinberg also received the 2009 DreamMaker’s Award from My Sister’s Place, the 2011 Paul Harris Award from the East Hartford Rotary Club, and the 1997 Distinguished Service Award from the East Hartford Chamber of Commerce. In April 2012, the East Hartford Chamber of Commerce awarded him the Chairman’s Award for his contributions to the East Hartford community. In addition, Mr. Scheinberg was named one of Greater Hartford’s 50 Most Influential People of 2009 and 2010 in Hartford Magazine. 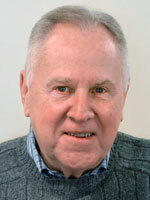 In 2011, the Hartford Business Journal honored him with a Lifetime Achievement Award. Ann Clark, Executive Vice President and Provost at Goodwin College, has served in that role since the College’s inception in 1999. Prior experience includes more than 25 years in leadership and faculty roles in the private occupational business sector plus several years as a public high school English teacher. Ann holds a BA in English Education from the University of Connecticut and an MBA from Rensselaer Polytechnic Institute. She served as a member of the Advisory Committee on Accreditation for the State of Connecticut from 2010 to 2013 and has been selected as a member of the class of 2014 Summit – A Leadership Program for Advanced Leaders, sponsored by Leadership Greater Hartford. 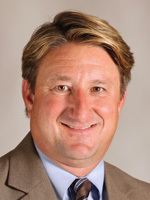 Todd Andrews has been with Goodwin College since 2005, where he serves on the President’s Cabinet. As Vice President of Economic & Strategic Development, he is an integral part of the campus master planning and execution team, and oversees new business development opportunities, community and government relations, and magnet school initiatives at the College. Prior to Goodwin, Todd was Vice President at the MetroHartford Alliance and an Economic Development Specialist with The United Illuminating Company. He has also served in various neighborhood, community, and municipal development roles for the City of New Britain, Town of Enfield, and Town of East Hartford. Todd originally joined Goodwin College as Director of Development & Grants and is responsible for the creation of the Advancement and Communications departments. Prior to his current role, he served as Vice President for College Relations & Advancement. 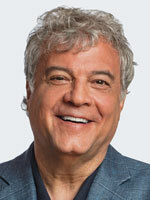 Todd is also the founding Chairman and a current member of Integrated Health Services’ Board of Directors. He previously served as Chairman for the Governor’s Coalition for Youth with Disabilities Board of Directors and served on the board of Neighborhood Housing Services of New Britain. Todd holds a master’s degree in Management from the University of Saint Joseph and has a B.S. in Business Administration from Eastern CT State University. Todd is an East Hartford native, enjoys the outdoors, and lives in Newington with his wife, Anne Marie, and teenage twin daughters. Bryant Harrell has been with Goodwin College since 1990 and oversees all aspects of facilities and technology. Bryant and his team play an integral role in the rapid expansion of Goodwin College and its campus. Jean McGill joined Goodwin College in November 2010. She is responsible for the strategic planning, execution, and oversight of all human resource-related activities for the college including employee relations, recruiting, benefits, compensation, and payroll. Jean has served in a variety of human resources and business operation roles during the last 20 years, including positions at Cigna, Prudential Retirement, and Travelers. She earned her bachelor’s degree from the University of Connecticut and is pursuing a master’s degree in organizational psychology. In addition to her responsibilities in human resources, she is currently an adjunct faculty member in Goodwin College’s Business Administration program. Jean is passionate about helping people discover their unique gifts and develop their untapped potential. She is a member of the Human Resource Association of Central Connecticut and the Society of Human Resource Management (SHRM). Dan Noonan is a native of Waterbury, CT and is the youngest of five children. He is a graduate of Charter Oak State College and completed his Masters of Science degree in Management in May 2014 from the University of St. Joseph. Currently serving as the Vice President for Enrollment, Marketing & Communications, Dan began his career with the college in May of 1996 when it was known as the Data Institute Business School. Initially working with the Career Services department, he knows the importance of helping our students find employment and believes that helping our students and graduates find work is one of the main outcomes of a Goodwin education. 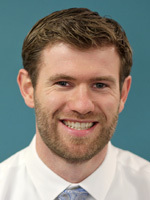 Since the summer of 1997, Dan has focused his work on admissions and marketing. In 2012, Dan spoke at the Adult Student Marketing Conference in Austin, TX. His presentation highlighted Goodwin’s high touch enrollment process to a large group of higher education admission and marketing professionals from throughout the country. As the college has grown, Dan has played an important role in many change initiatives – transitioning from a business school to a two-year college, through the accreditation process with the New England Association of Schools and Colleges, transitioning to a baccalaureate institution of higher education, and the implementation of two student information systems as well as moving to our current campus location, to name a few. 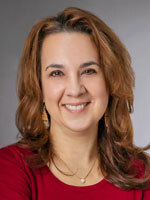 Dr. Danielle Wilken has more than 20 years of experience in higher education. As Goodwin College’s Vice President for Academic Affairs, she is responsible for overseeing the Academic Department, including faculty and students, the Center for Teaching and Learning, Distance Education, Early College programs, and the Registrar’s Office. She ensures compliance with federal and state regulations, the New England Commission on Higher Education (NECHE), and programmatic accreditation standards. She has extensive experience in new program and curriculum development, including the launching of a number of degrees at Goodwin. Additionally, Dr. Wilken leads the Universal Design for Learning teaching initiative on campus. Dr. Wilken has co-authored two peer-reviewed publications as well as Palko’s Medical Laboratory Procedures. She has served as an expert reviewer for numerous textbooks, presented at numerous conferences, produced several professional publications, and holds professional certifications in the health sciences arena. Dr. Wilken holds an Ed.D. in Education Leadership from the University of Hartford. She holds a master’s degree in Health Care Policy & Management and bachelor’s degrees in Clinical Laboratory Sciences and Biology. Rich McCarty grew up in Suffield on the Connecticut River and is very happy to be back on the River! Rich serves in the Office of the President as the Assistant to President Scheinberg with a focus on philanthropy, governance, board relations, strategic planning and institutional initiatives. Having served as a CEO for the New Britain-Berlin (CT) and the New Rochelle (NY) YMCAs, he brings a unique skill set to nonprofit management. Other educational experience was as a Major Gifts Officer and Alumni Relations director for his alma mater, Fairfield University – from which he holds a BS in Marketing and an MBA in Operations Management. Rich and his wife, Anne, are the parents of two boys: RJ, who is a professional musician, and Sam, who is an offensive lineman hoping for a professional football career. The McCarty’s make their home in Plantsville, CT. The President’s Cabinet, as an extension of Senior Cabinet, includes the College’s Assistant Vice Presidents in its membership. Dan Larson has been Assistant Vice President of Facilities since January of 2013, reporting directly to the Vice President of facilities Bryant Harrell. He joined the Goodwin facilities team in August of 2007, in the early stages of the construction of the college as a project manager, responsible for the development of Campus Realty. As the college has developed he has assumed increasing responsibilities, as a Senior Project Manager, to Director of Facilities, to his current position of AVP. As AVP he is responsible for all of the physical plant operations, as well as all logistical planning for special events, including custodial service, mechanical maintenance, and general maintenance, snow removal and grounds keeping. Currently servicing 14 commercial buildings and 62 residential properties, with the addition of 33 residential buildings anticipated in March. He takes great pride in his dedicated staff of 30 fulltime, and 4 part time employees that, “Make it Different Here”. Dan is a “1967” graduate of East Catholic High School, and a U.S. Navy veteran, (Seabee) during the Vietnam conflict. His career path follows an interesting route; he has over 40 years of management experience primarily focused around multiple levels of the construction industry, facility maintenance, risk management, and event planning. Dan is very active in the community, recognized in 2006 as Humanitarian of the year. He represents the college with the East Hartford Chamber of Commerce, where he was recognized for Distinguished Service in 2012. He also represents the college as a member of the East Hartford Rotary Club and is a past President and multiple Paul Harris Fellow. He is a standing board member of the Raymond Library Corporation, Chairman of the Raymond and Pauline Larson Scholarship Foundation, Past Trustee of his Church St. Francis of Assisi, and recipient of the Saint Joseph Medal of Appreciation. He resides in East Hartford in a home built by himself, with his wife Dorothy; he is the proud father of 4 children, 2 daughter in laws, and 2 grandsons. He is an avid golfer who loves all sports, just can’t find time to be good at it. 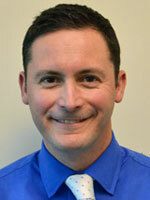 Nick Lentino has been with Goodwin College in the Admissions Department since 2002. The spirit of the Goodwin community and the students the College serves are the biggest reasons why Nick finds Goodwin to be such a big part of his life. Nick grew up in Longmeadow, Massachusetts and graduated from Providence College in 1996. He started interning for a local morning radio show shortly after graduation. Nick became a producer of two morning shows at Radio 104 in Hartford. As exciting as it was to prepare a show to make the morning commute a more enjoyable drive for some in the greater Hartford area, after five years, Nick realized it was time to move on to and find something more rewarding. His sister, Tamara Webb, is a Curriculum Director and a Psychology professor at the College and had admissions experience at the time the College was formally a business school named Data Institute. She suggested that Nick try getting involved with the Admissions office. Since then, Nick has worked as an Admissions Officer, Senior Admissions Officer, Assistant Director of Enrollment, Director of High School Admissions and is now an Assistant Vice President for Enrollment and Director of Admissions at the College. Nick got married in October of 2010 to his wife Jennifer and they have a son named Eliot. They live in Wethersfield, CT.
Gary Minor has been with Goodwin College since January of 2013, where he serves as Senior Director of College Relations. In this role, Gary is responsible for leading Goodwin’s public relations activities, and serves as principle liaison among city, state and federal decision makers, as well as related inter-governmental agencies and associations. Prior to joining Goodwin College, Gary spent 32 years at United Technologies Corporation (UTC), where he retired as Director of State and Local Government Affairs. In that role, Gary led UTC’s interaction with the State of Connecticut, as well as seven other states where UTC had a significant presence. Gary has also served in various operating and public affairs capacities at UTC operating units Otis Elevator and Pratt & Whitney. While the majority of Gary’s professional history involves communications, public affairs, and media and customer relations, he was most honored to serve as Executive Assistant to two former UTC Chairmen, Harry Gray and Bob Daniell. A native and nearly life-long resident of Manchester, CT, Gary, a former Manchester Police Sergeant, is deeply rooted in local organizations and efforts. He currently serves as a Director on the Greater Hartford Community Foundation Board, the host organization for the Travelers Championship, a PGA Tour event. Gary also serves on the Development Committee for the Manchester Road Race. Additionally, he has held previous positions on numerous other area boards and committees to include the former East Hartford Chamber of Commerce, now the Connecticut River Valley Chamber of Commerce. In addition to his professional history, Gary is also proud to have served both his state and his country. He holds an Honorable Discharge for his six years of service with the Connecticut Army National Guard. Dr. Henriette Pranger is the Assistant Vice President for Institutional Effectiveness. She began her career at Goodwin College in 2008 as the Director of Educational Assessment. In 2010, she became the Department Chair for General Education. With her team, she strengthened the academic leadership structure, aligned foundational and collegiate curriculum, and increased the involvement of part-time faculty in the department. In 2012, she became Dean of Faculty and was responsible for academic planning, program implementation, assessment, and faculty development. In 2014, she began leading the Office of Institutional Effectiveness. She and her team provide institutional research, assessment, accreditation, new program development, and decision-making support. Prior to working at Goodwin College, Dr. Pranger taught humanities and technology courses part-time for over a decade while raising her two wonderful girls. She received an award for teaching excellence from Quinebaug Valley Community College. In addition to teaching, she helped local colleges develop prior learning assessment programs and to use electronic portfolios. She also worked as the Interim Assistant Dean for Continuing Education at Eastern Connecticut State University. 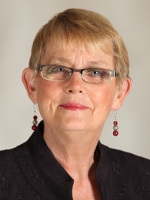 Her recent scholarly activity includes collaborating on presentations titled, “Building Community by Creating a Culture of Respect through Non-Academic Activities” at the Annual Conference for Innovative Pedagogy in 2014 and “Navigating New Faculty Mentorship at Goodwin College” at the New England Faculty Development Consortium in 2015. Dr. Pranger serves as a board member of the New England Assessment Network. She is also an active board member of Habitat for Humanity. 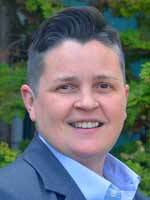 She is the former State Coordinator of the Connecticut ACE Women in Higher Education Network. Her recent professional development activities include the 2013 Wellesley Institute for Women in Higher Education and the Harvard 2014 Institute for Management and Leadership in Education. Dr. Pranger holds a Bachelor of Arts in Philosophy from Trinity College in Hartford, Connecticut. She earned her Masters and Doctorate degrees in Adult and Vocational Education from the University of Connecticut. Her interests outside of work include volunteering, travelling and gardening. Dr. Clifford E. Thermer - A 24-year veteran who has served both in municipal and state police forces in a wide variety of patrol and administrative functions. Retired from state service at the rank of Lieutenant from the Office of Administrative Services as the Commandant of the State Police Academy and Educational Coordinator for the Department of Public Safety. Career includes fifteen (15) years developing training at the recruit, incumbent, supervisory and management levels; implementing traditional and distance learning initiatives for personnel; staff development, liaison with colleges and universities; and providing educational advising to personnel. Dr. Thermer has taught at all levels of higher education holding adjunct positions at Middlesex Community College in the Criminal Justice Program; a visiting faculty position in the Doctoral Program in Educational Leadership and has also served as an adjunct, teaching policing and leadership related courses in the Sociology Department at the University of Hartford; an adjunct faculty at the Albertus Magnus College – New Dimensions Program at the graduate and undergraduate levels teaching Change Strategies, Religion in the Workplace and Government. He held positions at Quinnipiac University as Associate Director of the Organizational Leadership Program and Visiting Assistant Professor of Management in the Lender School of Business. 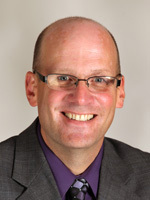 In August 2010, Dr. Thermer joined Goodwin College as Associate Professor and Director of the Organizational Studies Program and the Director of the Business Administration Program. In March of 2011, Dr. Thermer became chair of the Department of Social Science, Business and Education. In January 2013, Dr. Thermer was promoted to Assistant Vice President of Strategy and Business Development for Goodwin College. Laura received her B.A. from Eastern Connecticut State University, her M.A. from the University of Connecticut, and her Ed.D. in Educational Leadership from Seattle University. She has a wealth of experience in student affairs, having worked at Green River Community College, Pittsburgh State University, Eastern Connecticut State University, and most recently Central Connecticut State University, where she served as Vice President for Student Affairs and led special projects for Institutional Advancement. Laura is an avid reader who enjoys family time, theatre, antiquing, and the shore, having grown up in Waterford, Connecticut. She lives in Storrs with her husband and daughter, who recently graduated from college.